One basic problem facing most rapidly developing countriesis the need to preserve good traditions and at the same time graft upon them. That is why in Africa, for example there are several cultural organizations; these encourage not only the local arts, but also widen the scope to include the arts of neighboring countries of Europe, and other part of the world. These organizations should not only focus on the arts which please the African mind generally, but they need to take to account that which appeals to the intellect and moral aspect of man. As a matter of fact, we traveled to six West-African countries to prepare our research. From our research we came up with a lot of information and we decided to put them in a simple play so it can be easily understood by all. It is our hope that this plays will be of interest to the general public and may help in a way to give a genuine impression that the various West African communities have many problems feelings and interests in common. Chris Wilson a member of leadwayGroup a group dedicated to information gathering and sharing with a taste of pragmatism.With the help of our team of researchers,professionals and volunteers in various parts of the world,this group has published various books such as 'Happy Grey Hair','The Journey of Life' and 'The Request for Peace'. All these books are packed with real and probable situations about people and their lifestyle.These books also touches on other spheres of humanity. 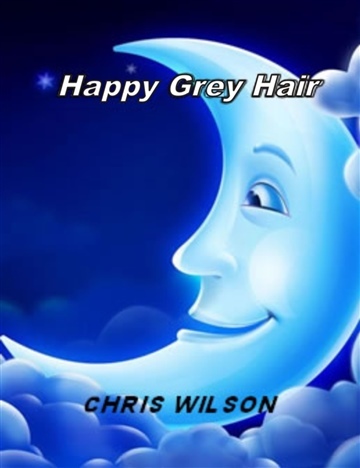 Chris Wilson with his team of researchers spent 5 years preparing the book 'Happy Grey Hair' a book that focuses on the lifestyle and people somewhere in Africa.In fact,this book focuses on real and probable situations has it is peculiar to people on the African continent Team of professionals and volunteers that contributed to the success of this book are, Queen Sunday,Goodness Sunday and Goodness Chidi Nwokolo who is a regular contributor to Press Conference USA and Encounter-VOA programs plus others in various parts of the world and most especially in Africa.We at LeadwayGroup will like to say a very big thank you to all those who made this book a success. We also want to use this opportunity to appreciate in advance our prospective readers in various parts of the world for your patronage.